Big things happening out on West Colfax in the 40W Arts District!! Check out their website for upcoming special events!! 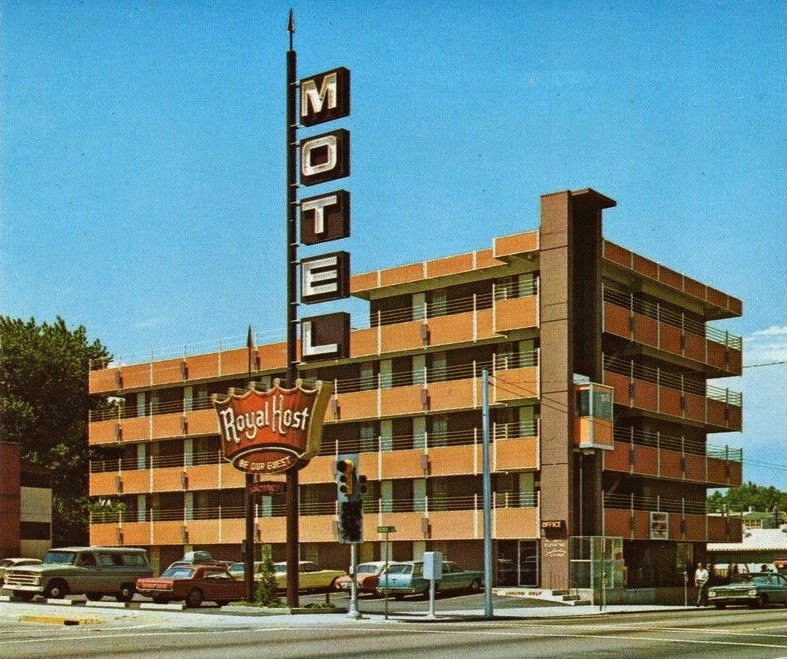 Colfax Avenue is a part of the original Highway 40, the first coast-to-coast highway in the U.S. 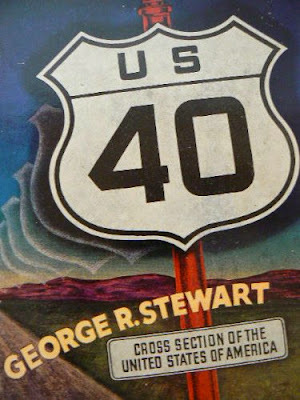 In 1953, George R. Stewart published U.S. 40: Cross Section of the United States, a landmark book about everyday life along the highway. The book contains 114 photographs and 92 interpretive essays. Scholars and writers have cited this work as influential to the study of road as a form of place. Stewart spent a lifetime wandering through the American landscape, wondering about its geography and history, and writing books about it. He loved to travel, by foot or road. In 1919, barely recovered from pneumonia, he hitchhiked west on the National Old Trails Road (later U. S. 40 and Route 66). He never forgot his experiences on this trip. 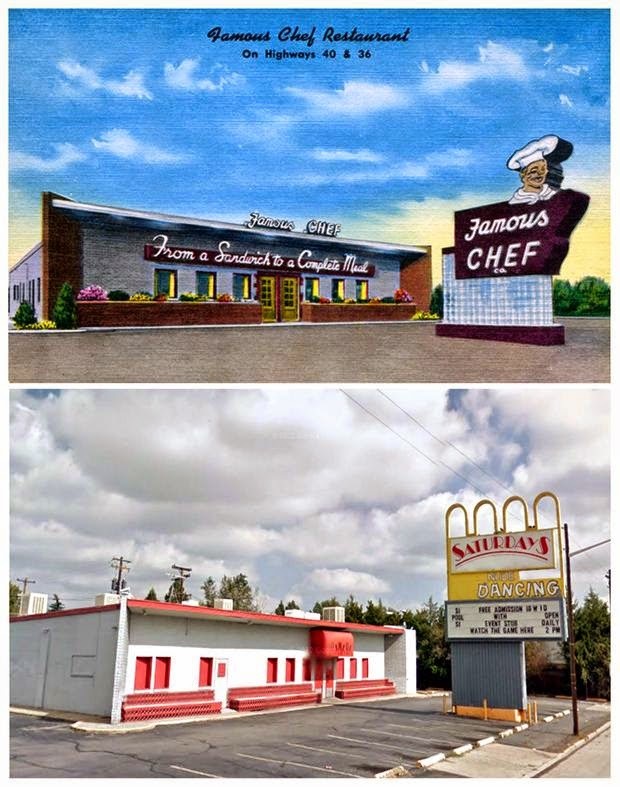 Stewart’s U.S. 40 is a fine example of his work. It uses the highway as a self-guiding interpretive trail to the geography of a “cross-section of the United States.” The book has already produced two outstanding “descendant” works: Tom and Geraldine Vale’s U.S. 40 Today, and German film director Hartmut Bitomsky’s film “U.S. 40 West.” The book (and its current apostle, Frank Brusca) also found its way into William Least Heat Moon’s Roads to Quoz. And George R.Stewart’s U.S. 40 inspired Brusca to produce these excellent U.S.40/National Road web pages, in which he carried on and expanded Stewart’s work. Enjoy a sweet treat at Susie's Sweets (1470 Carr St.). Remote Start Guys moved to the corridor and offers remote start systems and other customized features for your vehicle at 9680 W. Colfax. Lakewood Dance Academy provides creative dance classes at 9635 W. Colfax Ave. The Abo Group relocated their sustainable architecture firm to the historic building at 8025 W. Colfax Ave.
Colorado Frame Company will move across Colfax into a beautiful new building at 9780 W. Colfax this fall. Tamarack Consulting LCC, a civil engineering group, recently leased space at 8840 W. Colfax. Conservation Construction moved into the 8101 W. Colfax renovated building next to The Abo Group. Vial Fotheringham Lawyers moved into the Golden Hill office building located at 12600 W. Colfax. It was supposed to be invisible when the sidewalk is dry. Clearly not the case. 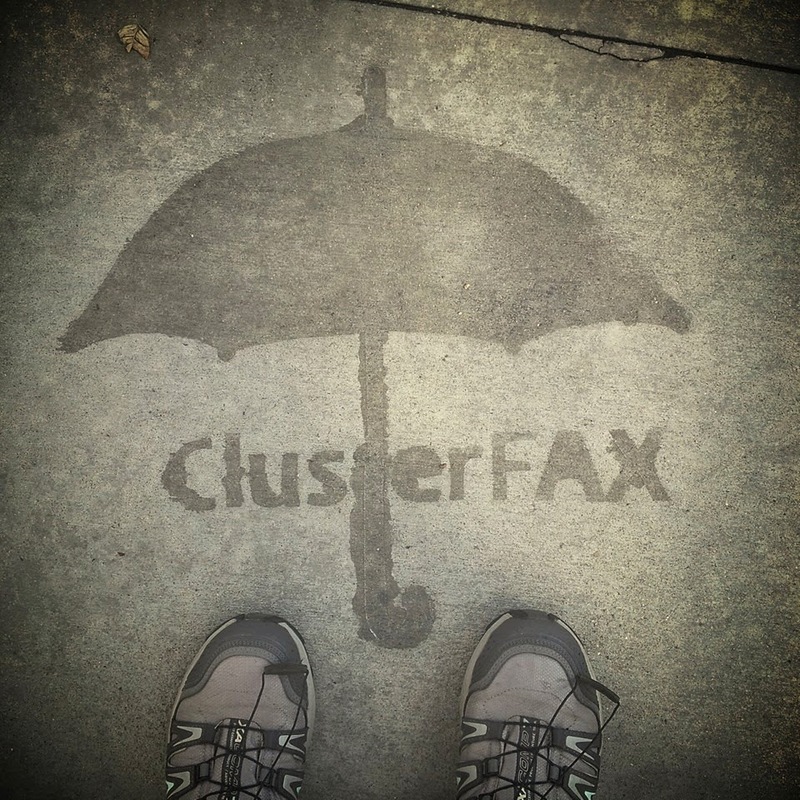 I guess this way Colfax pedestrians can experience the joy of ClusterFax rain or shine. Experience more on their Facebook page! Dean Shaver Shop was in downtown Aurora, Colorado, at 9834 E. Colfax Avenue. Please join the Save the Signs on Colfax Campaign so there will be less sign casualties like these on Colfax. (A note from the management). 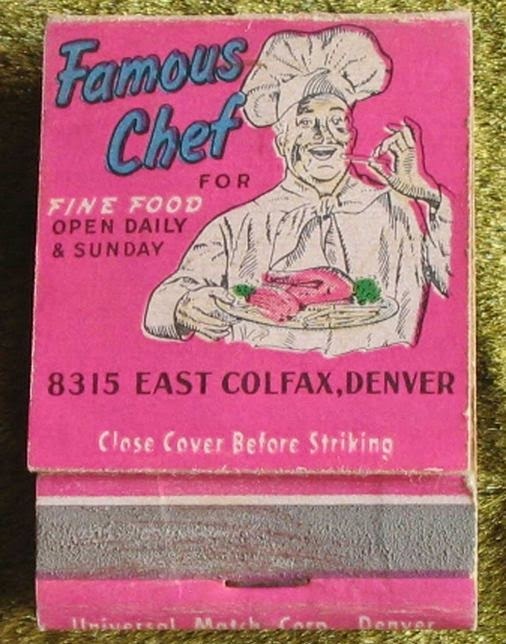 The Famous Chef, at 8315 E. Colfax Avenue, is long gone, but the show still goes on at Saturdays!! 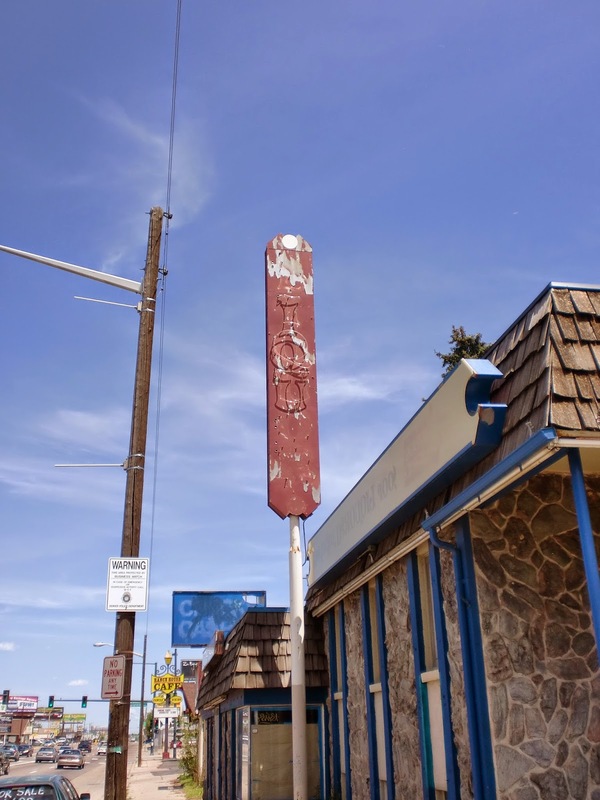 The New Yorker Lounge used to sit where the Three Lion's Pub is now, 2239 E. Colfax Avenue. • Culminates a canned food/desired hygiene items drive for the Denver Rescue Mission. • FREE Special Artwork Poster with a Donation of Canned Food Items. Bring cans to the Venues Day of Show and receive the Special Poster. • Portion of Proceeds to Benefit the Denver Rescue Mission. 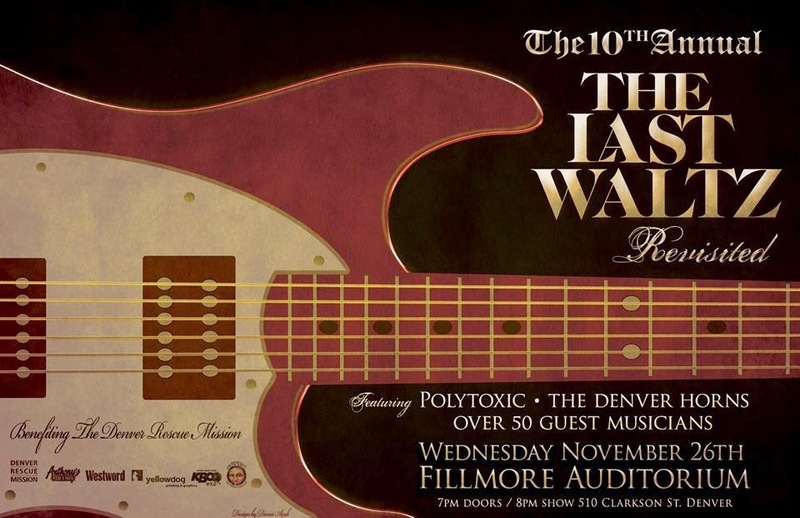 The 10th Annual The Last Waltz - Revisited will be held at the historic Fillmore Auditorium. This event showcases members of Polytoxic together with over 40 guest musicians from across Colorado, a full horn section and over 30 songs from The Band’s extensive catalog - recreating their historical performance, The Last Waltz. The concert has become an annual tradition for many of those involved in the show, as well as for many of the people that come out and see the show year after year – bringing the community together to kick-off the holiday season. To celebrate the last 10 years, they have added special guests and additional songs from years past. In addition, Buck Perigo will be opening the show performing Woody Guthrie’s entire Alice’s Restaurant. 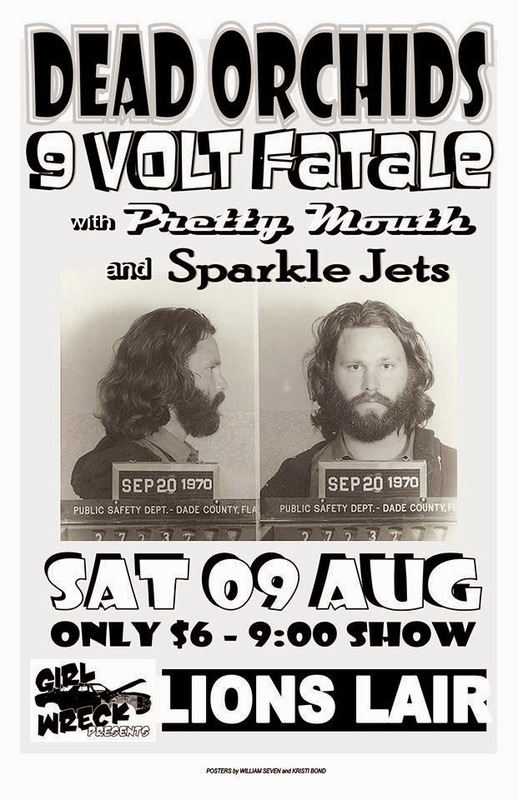 Back in 2005, Denver's number one jam band, Polytoxic, wanted to put on a show that could showcase all the great local musicians they had been playing with for the past few years. They decided to re-enact The Band's The Last Waltz, a concert film by Martin Scorsese from 1978 of The Band's last performance that included all of that era's greatest musicians - Eric Clapton, Dr John, Neil Young, Joni Mitchell, etc. The show was held at Dulcinea's in Denver's Capitol Hill area on May 25, 2005, and Polytoxic planned on it being a fun little show that would garner a little bit of interest. It sold out in minutes, surprising the band and fans alike, and became the biggest show they had ever thrown. So big, in fact, they decided to do it again in 2005, this time on the night before Thanksgiving at Cervantes' Masterpiece Ballroom. Polytoxic's The Last Waltz - Revisited immediately went from a "fun little" idea at a small venue to one of the biggest events of the year. It has become an annual tradition, playing to sold-out capacity crowds. The Last Waltz culminates the official Holiday Canned Food and Desired Hygiene Items Drive that benefits the Denver Rescue Mission. 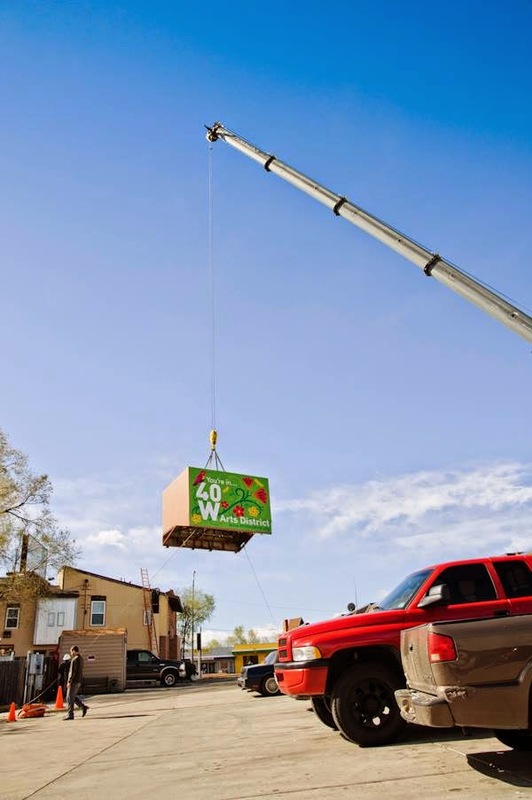 With the support of Anthony’s Pizza & Pasta, YellowDog Printing & Graphics, KBCO and Westword, they are again reaching out and seeking to give back to the community by supporting the Denver Rescue Mission. 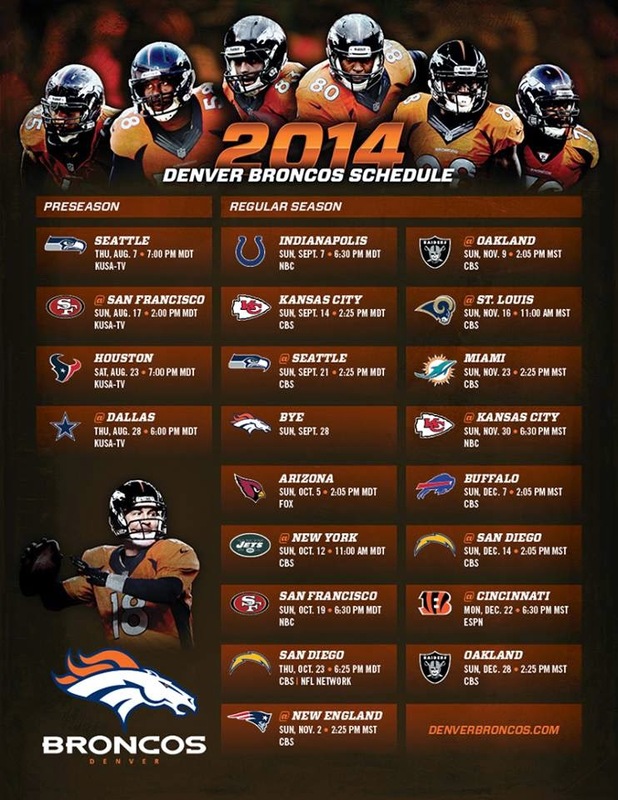 In addition, they will be working with KBCO and the Denver Rescue Mission on a VIP Dinner with the band. There will be a limited number of tickets available for this Dinner with The Band VIP Package. They will donate a portion of the show’s proceeds to the Denver Rescue Mission and they will give any fan that brings 10 or more canned food items to the venue (on the day of the show) a FREE Special Artwork Poster. They invite you to share this special night with their musical family and participate in their efforts to collect as many cans of food and desired items as possible for The Denver Rescue Mission to assist needy families during this Holiday Season. Please get your tickets early as the show has sold-out every year in the past! Tickets are $25.00 GA ADV and $30.00 GA DOS plus applicable service charges. 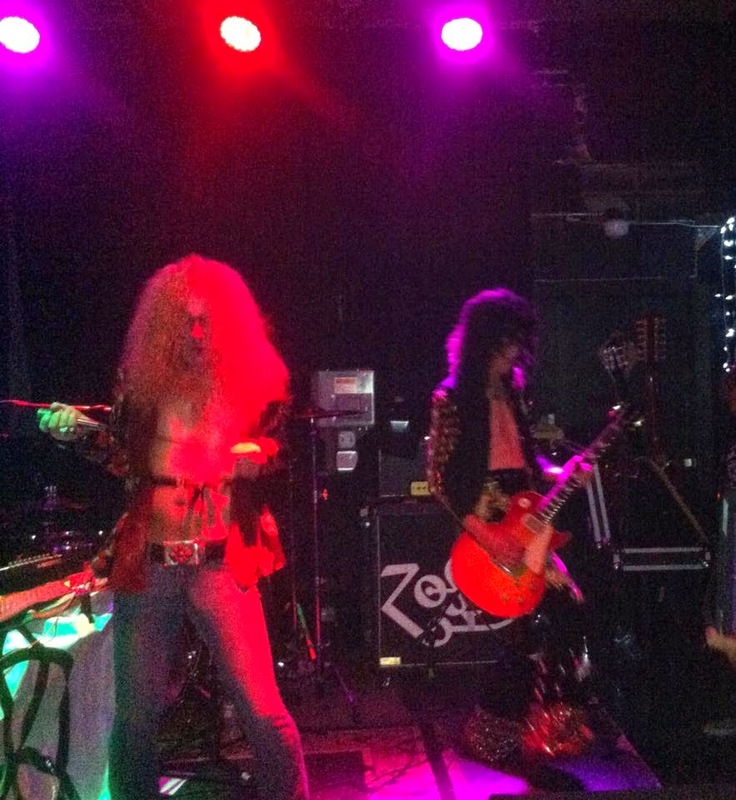 Well, actually it was Led ZepAgain, tearing up the Lost Lake Lounge last night!! Fitting this would be posted today, because the mighty Zep once met Elvis Presley, and today the world mourns his passing. 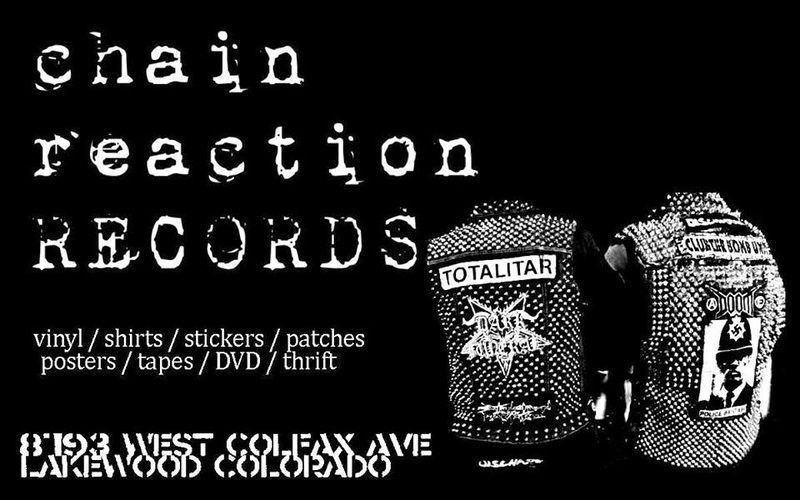 Chain Reaction Records will have its grand-opening on Friday, August 15th at 8793 W. Colfax Ave. in Lakewood. Hours are 11:30 - 7 pm, Tuesday - Sunday. Finally, an old-school record store in Lakewood!! Check them out on Facebook! When the 1914 Fritchle electric car trekked to the Colorado History Museum in the late 1980s, it drove on its own four wheels in a snowstorm. On Tuesday, the car arrived at the History Colorado Center in pieces. And its tires never touched the carpet. Then the 100-year-old car was slowly and carefully reassembled by employees of Ship Art Denver. Inch-by-inch over the course of 50 minutes, it was placed on its platform in the museum's "Denver A to Z" exhibit. The car was back together by 11 a.m.
"This is one of our major pieces in our collection," curator Leigh Jeremias said. "It is important to us and to the public. People kept asking about it." The Colorado-made Fritchle car is model number 283 out of about 500 and is possibly the only one that still exists, according to Bill Convery, state historian for the center. "We know that because we tried to search for another one when this one was being restored," he said. Since 2012, the car was being restored. It was damaged in storage by a water main break as the new history musuem was being built. During the restoration, a cutout of the car kept its place at the A to Z exhibit. 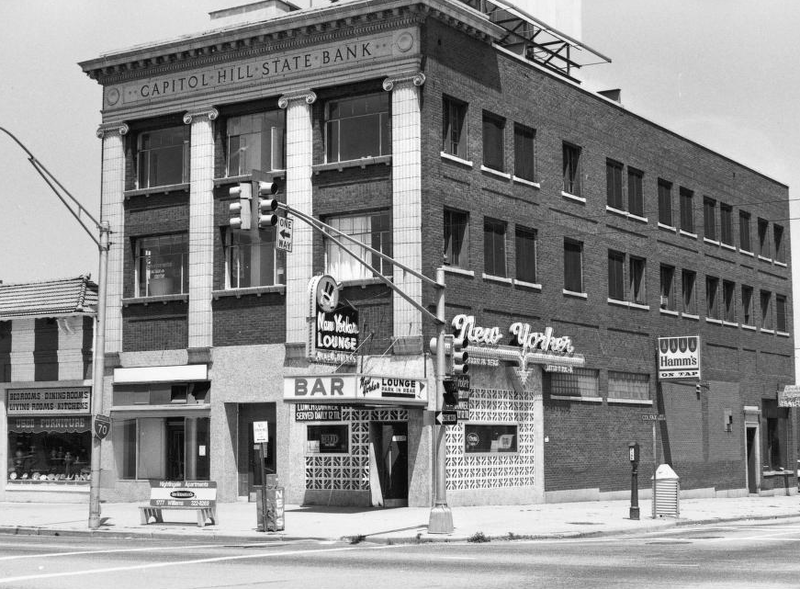 The Fritchle Car Company, owned by Oliver Fritchle, was in what is now the Fillmore Auditorium at East Colfax Avenue and Clarkson Street. In the early 1900s, the car would have sold for $1,500 to $4,000, according to Jeremias. The electric engine was much more expensive than gas, making the car marketable to society women, such as Molly Brown. "It has a luxury feel," Convery said. It is large enough inside that a big hat could be worn and was weather-proof so fancy clothes wouldn't be ruined by rainy or snowy weather. The cars could go about 100 miles per battery charge and went up to 25 mph. The car's stay in the center is dependant on the exhibit, but Jeremias said it would be around for five years. 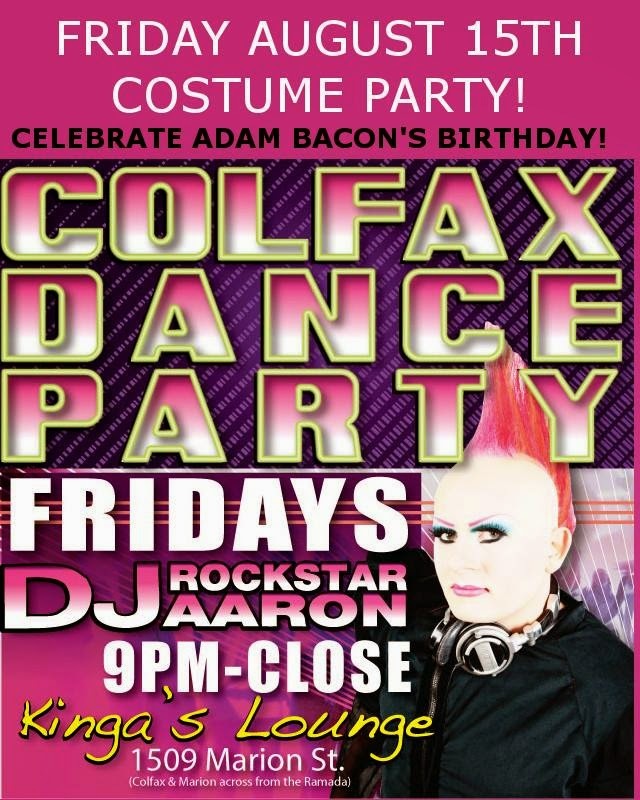 Colfax Dance Party for Adam Bacon's Birthday! DENVER – The 31st annual A Taste of Colorado will welcome a diverse collection of rock musicians to the KBCO World Class Rock Stage. The four-day, free admission, food, music, and entertainment Festival will take place Labor Day weekend, Aug. 29 through Sept. 1, in Downtown Denver’s Civic Center Park. On Friday, Rebel Tongue will kick things off at 11:45 a.m. with a blend of hip-hop, funk, jazz and soul music. At 2:15 p.m., Denver’s singer/songwriter sisters Two Girls With Guitars will perform a mix of their original soulful songs and covers. 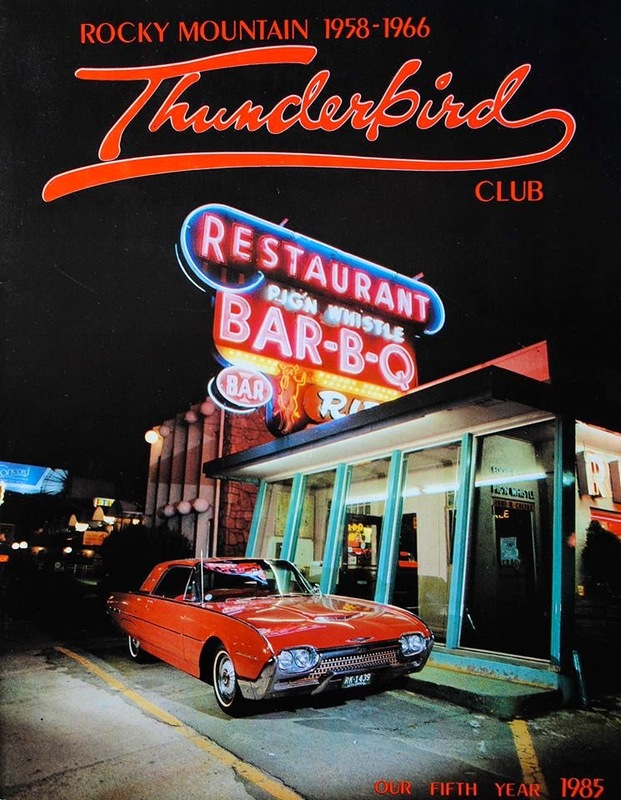 Specializing in R&B, soul, contemporary jazz, and top 40, Mary Louise Lee Band will perform hit sounds from the ’60s and today at 5:30 p.m. The Mighty Nice Band, known for its Latin/funk music with a twist of rock and country, takes the stage at 7:45 p.m. The ’80s cover band The Goonies start Saturday with a 10:45 a.m. performance. Grant Farm will entertain the audience with country-disco, roots-rock music at 1:30 p.m. Festivalgoers can enjoy a mix of Spanish, New Mexican and Tejano music from Johnny Rodriguez y Los Diamantes at 4:45 p.m. Veteran Denver musicians The DeLeon Brothers Band close the day with a performance at 8:15 p.m.
Party rock band FalleN takes the stage on Sunday at 10:45 a.m. Musketeer Gripweed follows at 1:30 p.m. with music that is equal parts roots rock, Delta blues, and performance art. At 4:45 p.m., Jon Romero brings a combination of Latin jazz, jazz, funk, R&B, rock and roll, Native American music, and the blues. Dance band Thumpin’ will entertain crowds with funk, soul, and R&B music at 8:15 p.m.
Labor Day Monday begins with a performance from alternative rock band Rumours Follow at 10:45 a.m. Salem will fill the air at 2 p.m. with a blend of hip-hop, jazz and neo-soul music. Americana/rock and roll band The Yawpers will take the stage at 4:15 p.m. Chris Daniels & The Kings will close out the festival with a mix of R&B, funk, “jump blues” and rock and roll at 6 p.m. In addition to the KBCO World Class Rock Stage, the Access Health Colorado Main Stage and three other entertainment stages located throughout the Festival will serve up a continuous menu of music, including the KYGO Country Stage and the Colorado Heritage Stage presented by Westword. Plus, a fireworks light spectacular will illuminate Civic Center Park on Friday, Aug. 29, and feature synchronized lights on the City and County Building along with choreographed music by Jammin’ 101.5. More than 50 of Colorado’s favorite food establishments will be selling a wide variety of small portions to full meals, ensuring that there will be something for every palate. The Fine Dining area will host some of Denver’s finest restaurants. The Albert Bartlett Culinary Showcase presented by 630 KHOW features local and nationally-renowned chef demonstrations creating simple, yet elegant meals. Festivalgoers can shop in more than 250 Marketplace booths for original arts and crafts, home and gift items, furniture, jewelry, imports, and more. Fine Art in the Park will display original works in a variety of mediums created by artists from around the country. Shoppers also can explore the Home & Lifestyles area, which features a variety of exhibitors displaying products and services such as window installation, kitchen remodeling, cookware, basement refinishing, and salons and spas. There will be plenty of music, magic, clowns, and puppets on the Colorado Access KidzStage presented by MIX 100, and the KidZone features play equipment, plus a great variety of free, hands-on craft activities for children of all ages, presented by 101.9 WAY-FM. Kids and adults also can enjoy carnival rides and games Saturday through Monday, presented by KOOL 105. In the Festival of Mountain and Plain area, families can learn about the state’s pioneer past, nature, and the environment. Featured artisans will demonstrate Navajo weaving and culture, spinning, rug braiding, lace crocheting, and felting, along with the popular blacksmith demonstration. Sponsors of this year’s Festival are: 9NEWS, Access Health Colorado, Aggreko, LLC, Air National Guard Mobile Experience, Albert Bartlett, All Copy Products, Allstate®, American Family Insurance, American Medical Response, Barefoot Wine & Bubbly, Blue Moon, Breckenridge Grand Vacations, Char-Broil TRU-Infrared Mobile Tour, Coast 2 Coast Communications, Colorado Access, Colorado Avalanche, Colorado Lottery, Colorado Native, Coors Banquet, Coors Light, Costco Wholesale, Courtyard by Marriott Denver Downtown, Cricket Wireless, Cutarelli Vision, D’AGAVE, Denver Nuggets, The Denver Post, DirectBuy of NW Denver, Downtown Denver Partnership, Inc., Eldorado Natural Spring Water, Famous Dave’s Bar-B-Que, Ford Experience Tour, Goat Vodka, LBA Realty, Levinson Eye Clinic, Lowe’s, Mike’s Hard Lemonade, PEPSI, Residence Inn Denver City Center, Roundhouse Spirits, Sparkling ICE, Sport Clips Haircuts, State Farm®, Sturgeon Electric, TownePlace Suites Denver Downtown, and XingTea. Festival hours are Friday, Aug. 29, 11:30 a.m. to 10 p.m.; Saturday, Aug. 30, and Sunday, Aug. 31, 10:30 a.m. to 10 p.m.; and Monday, Sept. 1, 10:30 a.m. to 8 p.m.
Festival of Mountain and Plain … A Taste of Colorado is a community celebration that is produced by and benefits Downtown Denver Events, Inc., the Downtown Denver Partnership family’s community events nonprofit organization. The Festival is an opportunity for people throughout the region to come together to experience and appreciate our diverse cultural traditions, and to learn more about our state’s Western heritage. The Festival highlights visual and performing arts in addition to featuring educational programs and culinary demonstrations. Visit www.ATasteofColorado.com, www.facebook.com/ATasteofColorado, www.twitter.com/ATasteofCO, or call (303) 295-6330 for more information. 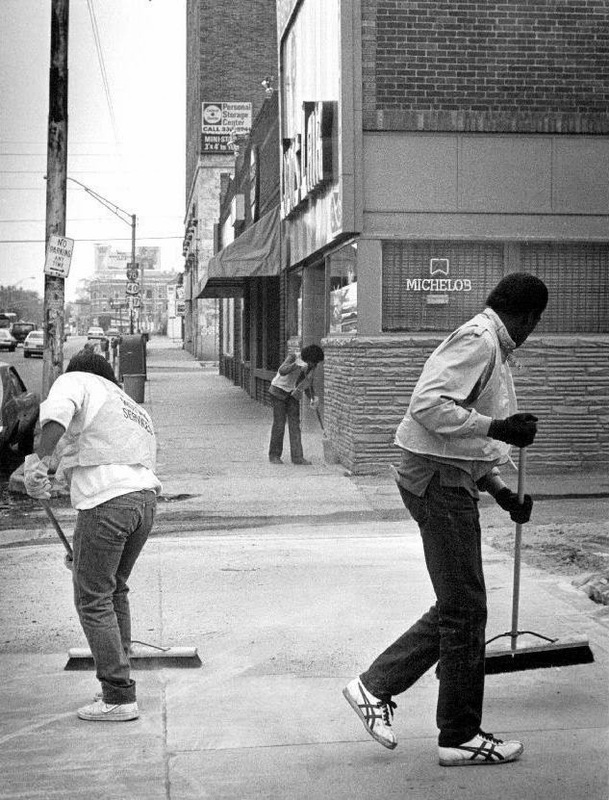 Join 40 West in its 3rd annual Colfax-themed show: “The 4 Seasons of Colfax”: an arts exhibition celebrating the events, history, and character(s) of Colfax Avenue (America’s longest commercial street) across the seasons. Colfax offers the special, unusual, strange and beautiful. We want to capture the full year of weather and its impact upon the beauty and activity of Colfax Avenue. Capture a year in the life of Colfax with your photos, paintings and more. Link below for web page, where you can download the Call for Entry PDF. We invite visual artists of all kinds—photographers, painters, sculptors, mixed-media artists, etc.—to use their artist’s eye to capture the spectacle that is Colfax—it’s neon, its people, places, events, history and ever-changing character of Main Street Colorado. 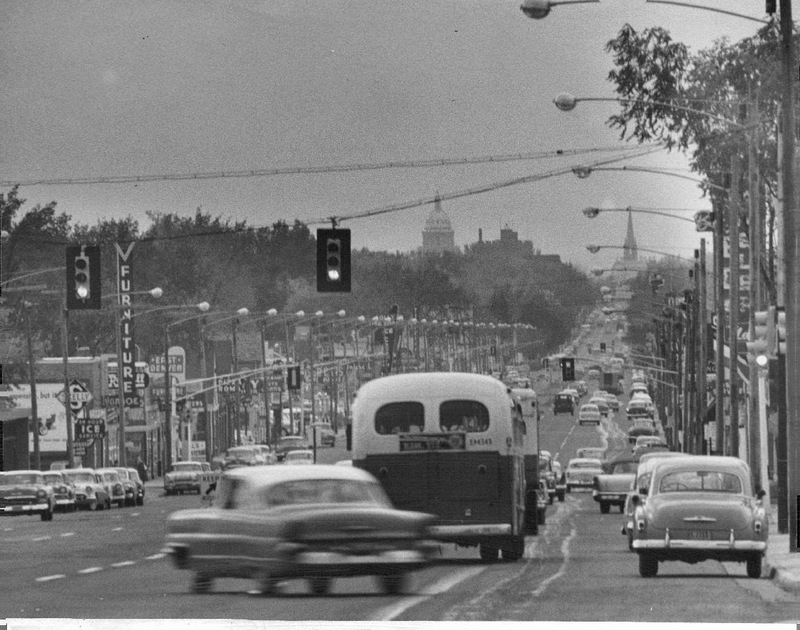 Colfax Avenue has been at the epicenter of entrepreneurial activity in the metro area for more than 150+ years, with businesses and buildings still intact today, many which carry over from the 1950s car culture. Come on photographers and artists—channel your inner Jack Kerouac! Get out “On the Road” and experience the grit and the glitz of Colfax. 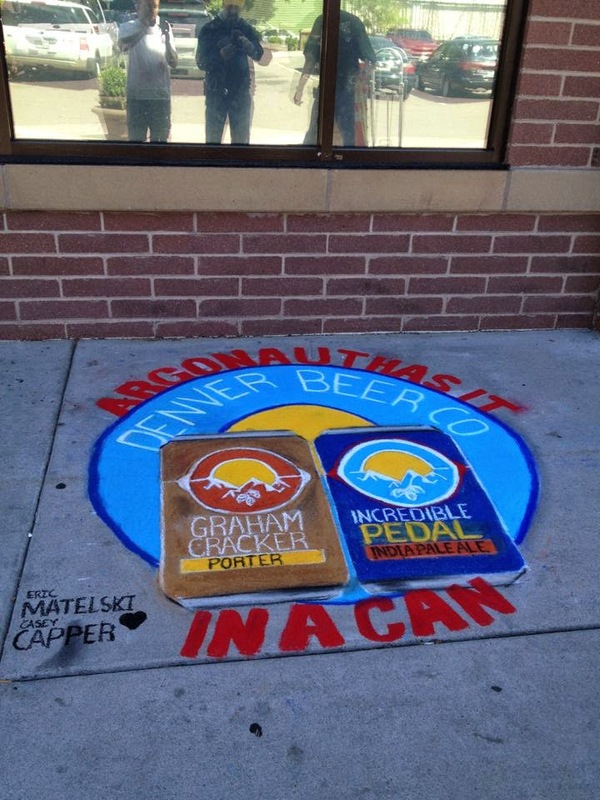 Posted August 8, 2014 by Denver Water in Conservation & Drought. 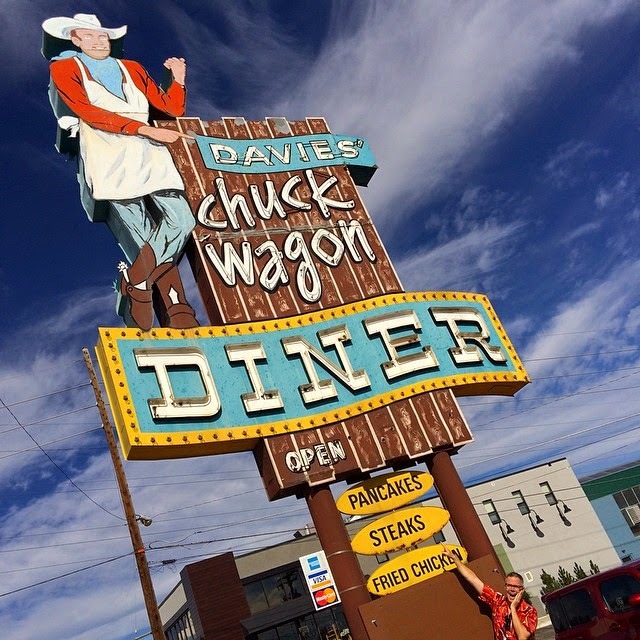 Take a drive down West Colfax Avenue in Lakewood and it’s hard to miss the collection of retro neon diner and motel signs illuminating the road. But, have you ever noticed the aesthetically pleasing median strip? 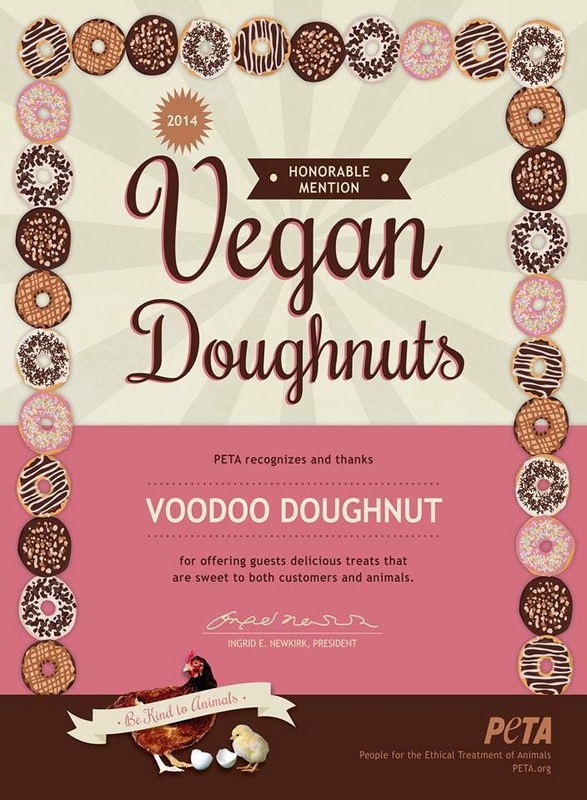 We have! Following the drought of 2002, the city of Lakewood parks department evaluated the condition of more than 1.3 million square feet of landscaped medians. Many of the medians had overgrown plants and inefficient spray irrigation systems, more than 25 years old. This led to a trial run of using drip irrigation systems and xeric plants, including native and adapted plants, in 2004. And, Lakewood hasn’t looked back. 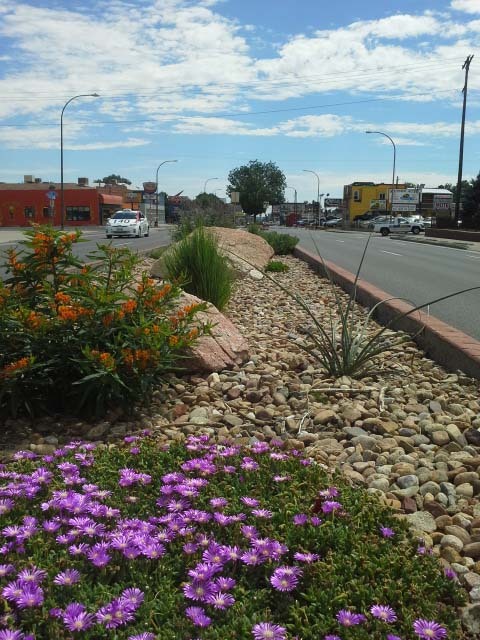 The city has upgraded nearly 8 miles of landscaped medians to eye-catching and efficient low-water landscapes, resulting in a 40 percent reduction in water use. And, they are not done yet. The work has been done in stages along West Colfax Avenue with the goal of upgrading the entire corridor over the next couple of years, making this strip the poster child for medians throughout the city, state and region. Identify areas where grass isn’t necessary or beneficial, and plan for a more efficient landscape alternative. There are many options to help ensure this section of your landscape remains stunning. Check out our Transforming Landscape series for inspiration and ideas. These transformations don’t have to take place overnight. Just like the improvements along Colfax, upgrading section-by-section is a wonderful strategy and will make the renovation more practical. By following Lakewood’s lead, you too can have a colorful landscape — without needing to install retro neon signs. Looking for more inspiration? After taking a drive down West Colfax Avenue, check out the xeriscape demonstration gardens at Kendrick Lake Park in Lakewood. 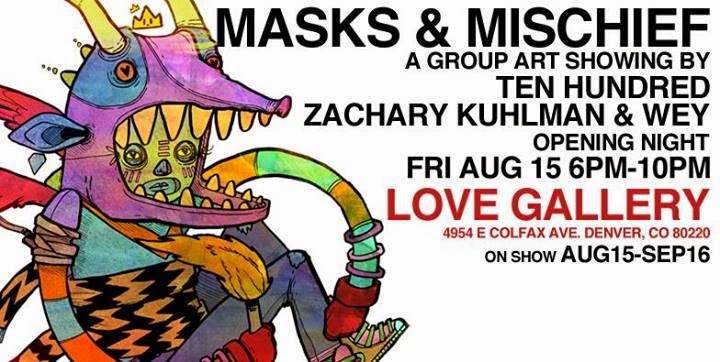 Artist's Ten Hundred, Wey and Zachary Kuhlman will be showing all new fresh works. Come celebrate all of their hard work and the grand opening of the Love Gallery in their new Colfax location! 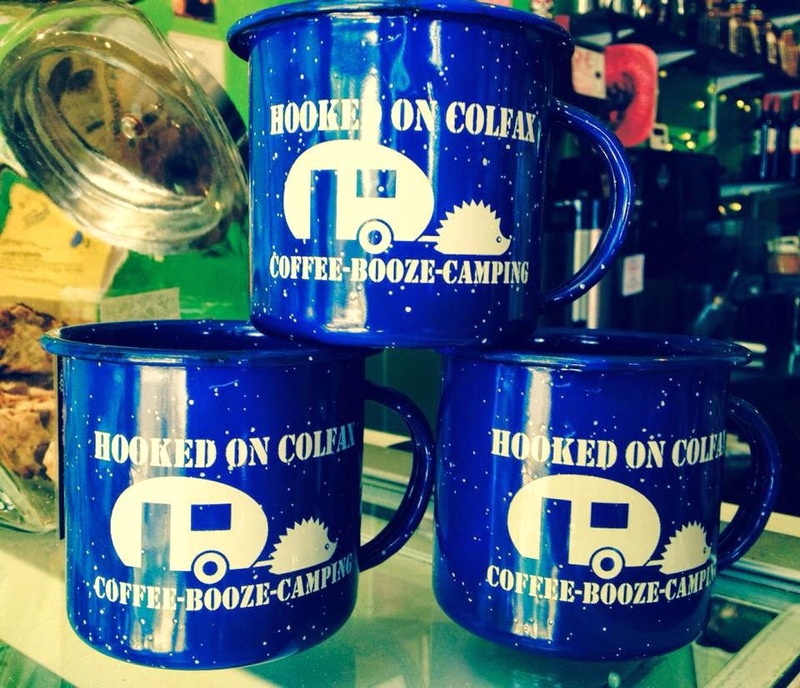 Love these mugs fir my campin' trips...Get one today at Hooked on Colfax!